More than a year after Denver started actively policing the marijuana industry’s use of pesticides, the city’s health department is changing its enforcement procedures. Starting April 15, the Denver Department of Environmental Health will no longer test marijuana and pot products in a privately owned cannabis testing facility, the city wrote in an industry bulletin e-mailed on Friday. Instead it will place marijuana products suspected of being contaminated with banned pesticides on hold, notify the state agencies that have picked up the recall process initially started by DEH and possibly order the plants or products to be destroyed, the bulletin said. “We’re taking a different approach here that’s more in line with other regulated industries,” said DEH executive director Bob McDonald. “It’s always been an option for us to condemn product. That authority has always been there. But we’ve given the industry more than a year now to learn what the public health issues are. And we need to transition into more sustainable and consistent enforcement. The city’s pesticide-testing regimen has been the basis of the 20 marijuana recalls issued by Denver and at least six of the 14 recalls later issued by the state’s Marijuana Enforcement Division. The city’s controversial lab tests for pesticide residues, conducted by a Wheat Ridge cannabis lab when none in Colorado had yet been certified by the state’s health department, have been called into question by multiple companies undergoing recalls and maintaining their products’ compliance. EdiPure, one of Colorado’s largest producers of cannabis-infused edibles, was the subject of four city-level recalls between October and December 2015. 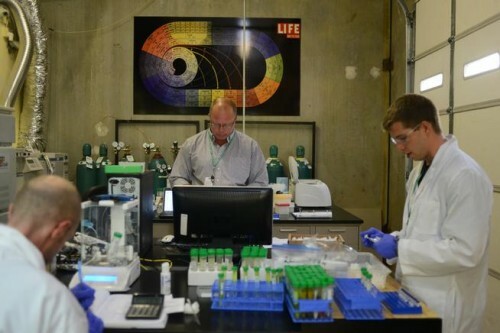 The company publicly questioned the lab tests conducted by the city’s partner lab Gobi Analytical and is now appealing the recalls to the city’s Board of Environmental Health. “EdiPure welcomes the clarity from DEH today regarding their enforcement of pesticides on cannabis,” said Kyle Forti, an EdiPure spokesman. But others in the industry are questioning how Denver will quantify pesticide contamination in the absence of testing. DEH’s McDonald said his agency’s investigations will involve interviews, spot checks, analysis of cultivation spray logs and more. “Given the detailed investigations we do and information we collect, I’m confident that the decisions we make moving forward in the absence of testing will be solid decisions based on very detailed investigations,” McDonald said. Denver officials say today’s marijuana is cleaner than it was when these enforcement actions first began in 2015.